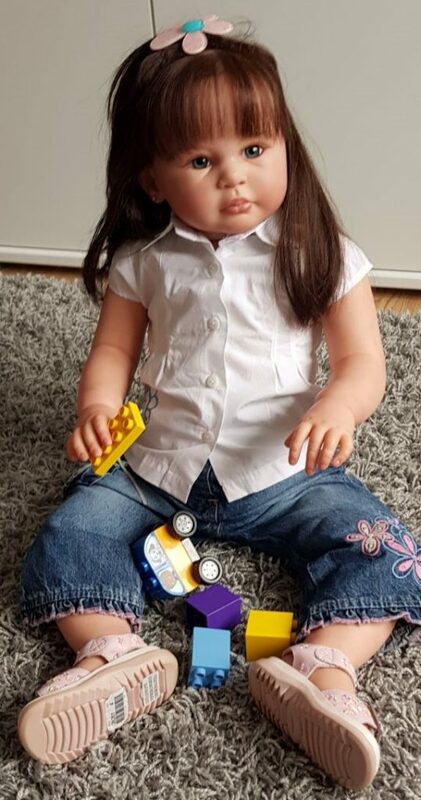 All dolls are painted with a 3D effect, that means that they are painted with multi-layers of permanent Genesis oilpaints and toned in all the right places so they look as natural as possible. Finger and toenails are painted and carefully, lined with white and finally varnished for durability and shine. 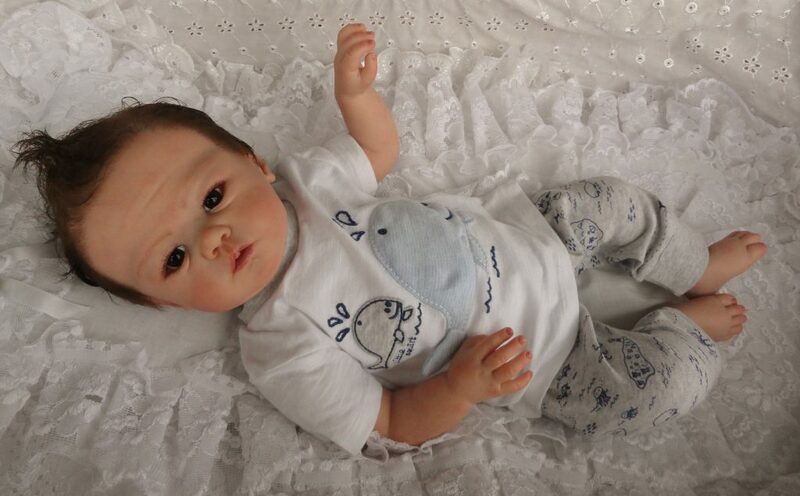 The baby dolls have microrooted hair with a wonderful extra soft mohair of the best quality so that it can be wetted, easily combed and styled in various ways. 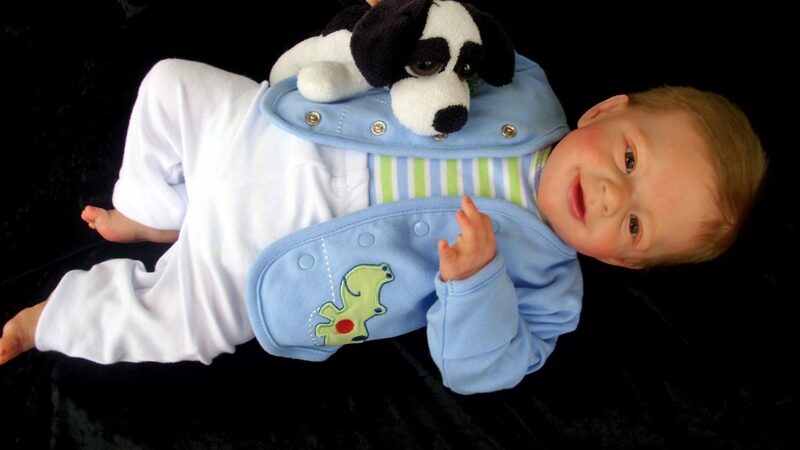 The head, arms and legs are weighted and filled with glassgranules and polystyrenemicro-beads. The torso is softly filled with polyester wadding and plasticgranules for the right weight and shape. 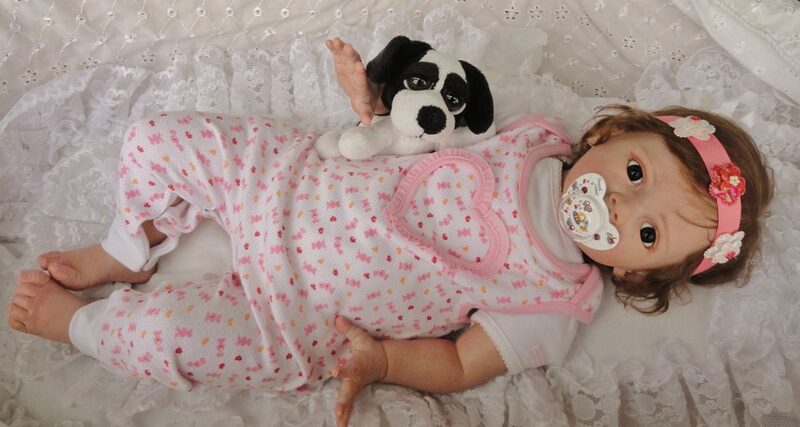 A strong magnet is glued inside the head, behind the mouth so the doll can have magneticpacifier. They also have magnet inside the head so that it holds the flower (hair bow) on the hair. The magnets are very strong and should be kept a way from pacemakers, computers and other electronic equipment with memory function, that can demagnetize. If desired, the magnet can be removed before delivery. The dolls are collectible dolls and anything not intended for play but myself I would not like to have a doll just to watch it! 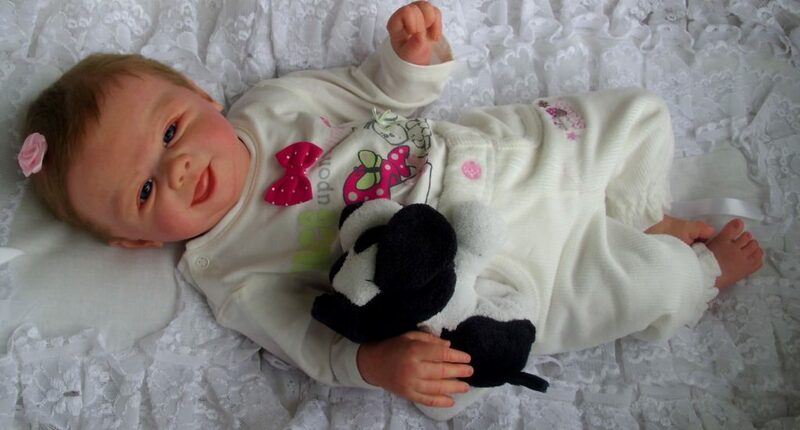 so of course they should be used ”You do not stop playing because you get older, you get old because you stop playing ”(Chinese proverb) The dolls come with: Baby doll+diaper+hairbow+all clothing that they have the on pictures + Anna PZ Reborn Nursery Certificate+care instructions. 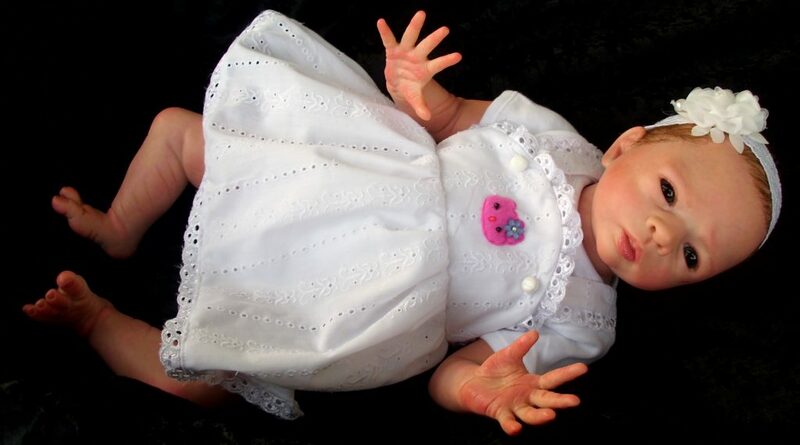 To see more pictures of the dolls, please click on their main Picture.